Don't miss this opportunity to own a home in desirable Northville! 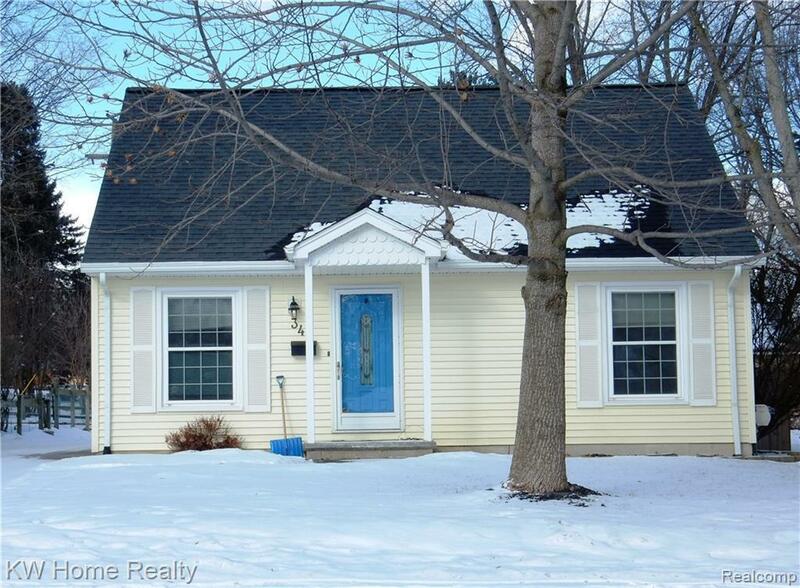 Adorable, cottage-style home in the heart of town with so much potential! Home features 3 BR and 2 full baths, large open kitchen, dining & living area with great flow. Spacious family room in the lower level. Private upper floor is home to the Master Suite with full bath and huge walk-in closet with built ins. The Master closet could be converted an additional BR or nursery. Large fenced yard includes a 2 car detached garage and patio for enjoying warmer days. Walk to all that Northville has to offer: downtown, the cider mill, numerous parks (Cabbagetown Park is 1 block over), great restaurants & coffee houses. Home has been well-cared for but is in need of a little TLC, paint, carpet etc. *Sale is subject to probate court approval. Home is being sold AS-IS and the seller will make no repairs. * 2 hour notice to show required please.